Richard Savage is back. The former Templar knight is now a farmer in France, that is until he is compelled to take on a mission back in Ireland. An Ireland that is undergoing a power struggle between the Scots, who have taken control of the north under the command of Edward Bruce and who seek to subdue the whole island and the English. However, they have a problem in Ulster as Castle Carrickfergus is somehow surviving a siege and a famine. I was riveted to the pages as the author has produced a book at full throttle. The action is relentless, the politics are insidious and the main characters, both the villains and the good guys and girls, are portrayed in a most entertaining fashion. Emotions run high, hardships are endured and intrepid resourcefulness are the order of the day as the story winds it way through a few surprising turns of events. It is indeed a most enjoyable read and what’s even better is that this isn’t the end of Richard’s involvement in the battles between the English King Edward and the Bruce brothers, Robert and Edward. I am looking forward to the sequel. 5 stars. I’m sure that for anyone who grew up when I did, Kirk Douglas was Spartacus, a brilliant but historically incorrect movie. 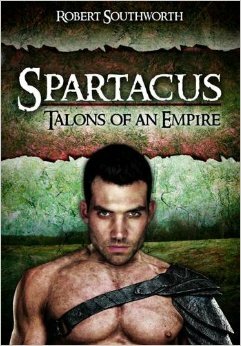 In Spartacus: Talons of an Empire, Mr. Southworth presents to us a character and a scenario vastly different than the one Jean Simmons fell in love with. In this version, Spartacus does not die after his defeat by Crassus but rather, he is forcefully employed by a Roman aristocrat to take part in an assignment designed to lessen the power of Crassus in Rome. I won’t say more about the plot except to say that it is a good one, full of action, deceit, friendships forged and bloody combat. 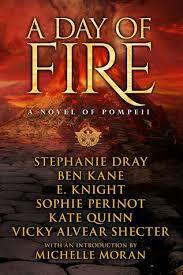 It is the characters who inhabit this tale that I found to be very well done…from the gladiator/warrior/leader, Spartacus…Cassian, the servant of the Roman aristocrat…Plinius, the young, inexperienced warrior…and of course a couple thoroughly evil specimens in Apelios and Dido. Emotions run high as the contingent under the command of Cassian and Spartacus deal with loss, fear, regrets, love and pure hatred. All in all this is a very entertaining book and I will be taking on the rest of the trilogy. After all who can resist stories about Spartacus, the gladiator slave who almost brought Rome to it’s knees. 4 stars. I’m Robert Southworth an author from Warwickshire in England. I suppose the best way describe myself is a lover of all books. Although my first three novels are based in ancient Rome, i wouldnt tie myself down to the era or genre. I love history through the ages, but i am also just as happy picking up a sci-fi or fantasy novel. My favourite authors are Scarrow, Cornwell, McGee which i know are all masters at historical fiction, but i also love Pratchett(absolute genius) and Robert Rankin (absolute bonkers). I am a traditionally published author but have decided to self publish my next couple of novels, which means hopefully i will be able to place my work before my readers a little more quickly. Me as a writer: I have no wish to make my readers think deeply on the social issues of the world. There are plenty of authors and other types of media which do that. I consider myself a story teller and i attempt to entertain, i would much rather draw a contented smile than a political debate. I hope that you all enjoy my books. Like most people, I suppose, I’ve always been alternately fascinated and horrified by the death and destruction meted out when Vesuvius erupted in year 79 A.D. In A Day of Fire I came face to face with the results of that destruction in actual human terms, The book is a collaboration of six authors; a collection of six different stories. Different, but connected stories as they are all related in some fashion. It is written in chronological order so as you progress through the book the situation becomes more dire as the day of the eruption proceeds. It is a very powerful, very intense and emotional read; I found myself stopping every few pages, especially the last couple of chapters, in order to recoup as the characters are struggling just to breathe or in some cases becoming resigned to their fate. While it is a book full of human suffering, it is also a testament to human courage in the face of unprecedented horror. I cannot recommend this wonderfully brilliant book highly enough. 5 stars does not do it justice. I actually started reading this book 20 years or so ago but for some undetermined and totally unfathomable reason I didn’t finish it. Perhaps I was too busy being a parent helping to raise our three children. Perhaps I was too involved in my career. I’m sure those two reasons were part of it but I think that what really contributed the most was a real bad case of Muse envy. My Muse was just beginning to awaken after a long dormant period and I was beginning to do a little writing around the time I was reading A Song for Arbonne and my Muse was so shaken by the immaculately flowing style of the author that she, through her envy, forced me to stop reading it. Since then, however, my Muse has matured enough to admit that she will most likely never attain the high standards of Mr. Kay and the brilliant Muse who inspires him, so, it was okay to read the book. This feeling was enhanced by a conversation, of the social media variety, with one of my favorite authors, SJA Turney in which he, in a not so mild a suggestion, implored me to give it another go as this book was his favorite of all time and had done much to set him on the path to becoming an author. So, dear reader, what did I find the second time around? A masterful bit of storytelling full of great characters and a plot that kept me mesmerized throughout as it wove around and through the fabric of human emotions. One thing I realized about a third of the way through was that I basically knew the path the character of Blaise de Garsenc was going to take to become who I imagined he would be in the end. However, what I could not imagine was the many different forks that path would take, a long, winding and entertaining road indeed. As to this being a work of fantasy, it does, after all, feature an earth with two moons, it is also a work of real history as well,especially in the way the author portrays the misuse of religious power and the dangers inherent in that type of elitist exclusivity. To me it calls to mind the Crusading Popes and the modern Islamic jihadists. One thing that is certain is that I am in awe of the writing acumen of Mr. Kay and will certainly be adding his other works to my ever growing “to be read” pile. 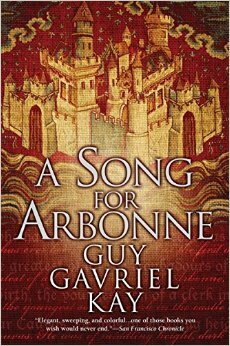 5 stars for this brilliant and beautifully written book. Gaius Petreius Ruso, currently attached to the 20th Legion has arrived in the northern reaches of Britain, the fort at Coria along with his slave/housekeeper/lover, Tilla. This is her homeland and she is naturally looking forward to going there. For Ruso, this should only be a short stay as the 20th is moving on to another outpost, Ulucium. However, events intervene and the hapless doctor finds himself stuck at Coria and enmeshed in the investigation of the mysterious murder of a legionnaire of the 10th Legion. What follows is a race against time to solve the murder before the arrival of the Roman governor in four days time. The author provides the reader with a plot line that has more twists and turns than the Hana Road on Maui and I must confess that for a couple chapters I was a bit confused as to where this tale was going but then again the good doctor was just as confused. This confusion, however, leads to an exciting, taut, last half of the book, one in which I found it difficult to put down even as I was on duty watching my 2 1/2 year old toddler grand daughter. Ruth (RS) Downie graduated from university with an English degree and a plan to get married and live happily ever after. She is still working on it. 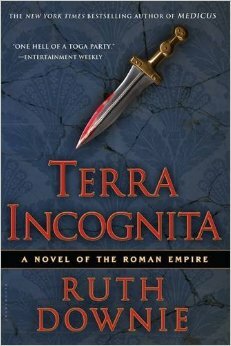 In the meantime she is also the New York Times bestselling author of a mystery series featuring Roman doctor Gaius Petreius Ruso. The latest book is Tabula Rasa, set during the building of Hadrian’s Wall. Ruth is not the RS Downie who writes real medical textbooks. Absolutely none of the medical advice in the Ruso books should be followed. Roman and Greek doctors were very wise about many things but they were also known to prescribe donkey dung and boiled cockroaches. I was drawn to this novel simply because of the time period and the locale. I enjoy reading about the early history of the ancient Near East. My first real exposure to that area was as a freshman in college and the mesmerizing and thoroughly entertaining Professor Milton Covensky and the textbook he wrote, The Ancient Near East Tradition. Of course, that was a historical perspective, in the world of historical-fiction, the series by Sam Barone, The Eskkar Saga provided an interesting take on the Tigris-Euphrates civilizations. In A Milk and Honeyed Land gives us a sterling portrayal of the Canaanite hill country in 1200 BCE; a time of change in the region. The influence of Egypt is waning as new forces enter the land. These forces being the Ibriym(Hebrews) under the leadership of Joshua. The story offers a glimpse into the everyday life of the four towns, Gibeon, Kephirah, Beeroth and Kiriath Jearim(in the book they are named Giybon,Kephrath,Meyim and Jarrar’s Town) that have bonded together in a matrilineal society. In the Old Testament they are known collectively as the Gibeonites. 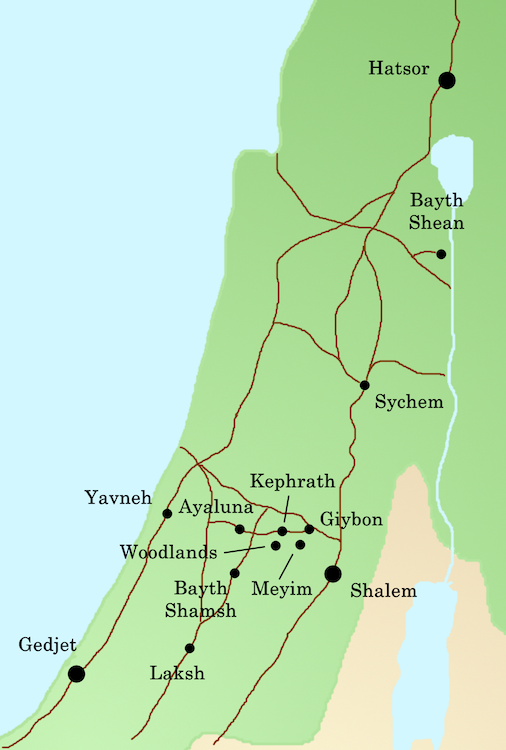 Much of the story centers around the seers or priests of the towns, in particular the seer of Kephrath, Damariel. I found this to be a very moving narrative of the people in their daily lives; the struggles, the joys, the times of celebration and the times of sorrow. 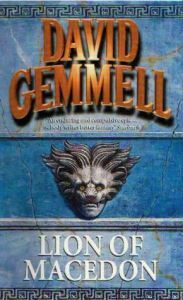 Damariel is a wonderful character and it is through his eyes we learn of the ritual religious practices of the people, the high places and standing stones. The author’s use of dialogue is especially touching and his descriptive narration is spot on. Mr. Abbott certainly did his homework and his extensive research is evident throughout. I went into this book not knowing what to expect as both the author and the subject matter were new to me. What I came away with is a better understanding of what life was like in a time and place that was integral in the rise of much of Western civilization. I also came away with the knowledge that I have another series of tales to follow…Scenes from a Life and The Flame Before Us are now on my to be read pile. 5 stars and a ‘You have to read this ‘ Hooverbkreview recommendation. Richard lives in London, England and writes about the ancient middle east – Egypt, Canaan and Israel. His interest began with a study of how styles of literature and poetry were shared cross-culturally in the Late Bronze and early Iron Ages. Having taken those studies as far as he wanted on an academic level, he switched to using the material as background for historical fiction. 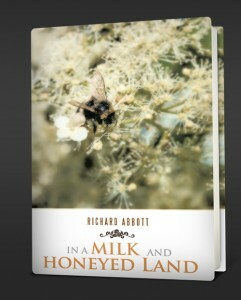 In a Milk and Honeyed Land and its successors sprang out of the desire to tell the stories of ordinary town and village life of those days, rather than the exploits of kings and conquerors. He works professionally in IT quality assurance. When not writing words or computer code, he enjoys spending time with family, walking, and wildlife, ideally combining all three pursuits in the English Lake District. 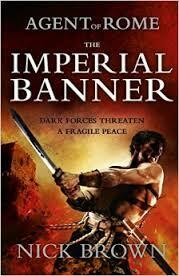 Cassius Corbulo, a reluctant member of the Imperial Secret Service, the Frumentarii or Grain Men, is back in this, the second book of Nick Brown’s exciting series. In The Imperial Banner, Corbulo is tasked with recovering a significant amount of treasure taken from the Palmyrans after their rebellion has failed and is destined to fill Emperor Aurelian’s depleted coffers. Among the items stolen is a flag or banner that is very important to the Persians and was to be given to them as a token of peace between Rome and Persia; without it, war is probable. The trail of the perpetrators leads to Antioch and any number of suspects making this one of those stories where surprises abound and where Corbulo’s investigative abilities and his endurance are tested to the limits. Aiding him in this task are his manservant, Simo and a wonderful new addition to this series, an ex-gladiator, Indavara. The author has once again hit the mark with this well crafted and satisfying thriller… a page turning, sleep depriving tale of intrigue and greed. 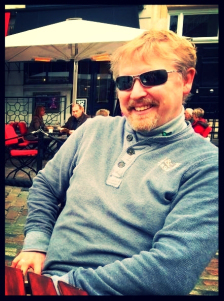 5 stars..
Nick Brown grew up in Norfolk and later studied history at the University of Sussex.In 2000 he embarked on a PCGE course at the University of Exeter and began a career as a teacher of English and humanities. 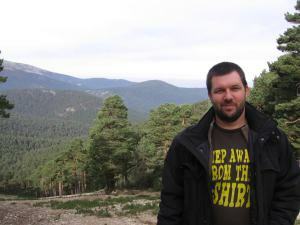 Having taught in England and Poland he now lives in his home town, Norwich. ‘The Emperor’s Silver’ is the fifth volume of the ‘Agent of Rome’ series. I am delighted to have Matthew Harffy visit my blog today. 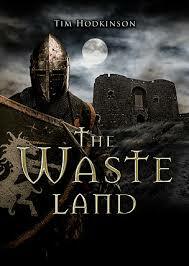 Matthew has written a tale of Dark Ages Britain that is receiving praise from readers and other authors alike. Welcome, Matthew! Congratulations on the publication of your debut novel. Tell us about The Serpent Sword. It is set in BRITAIN 633 A.D.